Prospect research is a critical step in fund development planning and grant writing. So where do nonprofits go to find new funding prospects? The Greater New Orleans Foundation Organizational Effectiveness initiative is proud to provide the Foundation Center Cooperating Collection for use by nonprofits and volunteers from across the region. Foundation Directory Online provides the most current, accurate, and comprehensive information available on over 98,000 U.S. grantmakers and their grants, drawn from reliable sources, including IRS Form 990s, grantmaker web sites and annual reports, and the grantmakers themselves. The searchable database allows users to select key words to identify the grantmakers that are the best match with their organization and project. The Directory is not an application system for grants. Explore appropriateness of grant opportunities. The Foundation Center Directory Online workshop is on Thursday, November 8, 2018 from 9:00-11:00am at the Center for Philanthropy (home of the Greater New Orleans Foundation) at 919 St. Charles Avenue, New Orleans, LA 70130. Click here to register. Please note, it is not possible to individually search the Directory during the workshop. Nonprofit professionals and volunteers can access the database for two hour blocks at a time, Monday-Friday 9:00 am-4:00 pm at the Center for Philanthropy (the Foundation’s home) at 919 St Charles Avenue, New Orleans, LA 70130. Please note, the database is not accessible when the Foundation is closed (most major holidays). The database is only accessible on site and you are strongly encouraged to make a reservation here. If you do not have an appointment, you may have to stop using the database should someone with an appointment arrive. If you are a first time user or have not attended a workshop on using the database, it is recommended that you schedule an appointment with Rachel Swan (rachel@gnof.org). 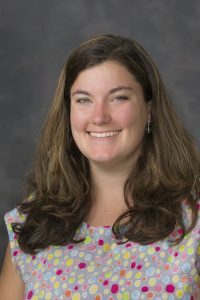 Rachel joined the Greater New Orleans Foundation as the Organizational Effectiveness Program Assistant in May 2015 and is responsible for facilitating the department’s efforts to strengthen the work of the region’s nonprofits. Rachel graduated from the University of Evansville in Indiana, with a bachelor’s degree in Theatre Studies with Associated Studies in Religion and History and then worked in theatrical nonprofits in New York and Washington DC, including Arena Stage, for seven years. A native of New Orleans, Rachel returned home and obtained her Masters in Arts Administration with honors from the University of New Orleans.